This summer has been really busy for me - in addition to work, I took a summer class for my MPH program, and had five weddings to go to, started this blog, and I try to have some sort of normal social life! Because of this, there wasn't really time for me to take a real vacation, or travel anywhere. As much as I wanted to, I just couldn't make it work, schedule-wise. I was starting to feel beyond exhausted. Dealing with everything that comes along with having SMA on a daily basis already leaves me tired, and after adding everything else, I was really in need of a break. By August, I was basically waking up each day, going to work, coming home to eat dinner and write a blog post, going to bed, and repeating the next day. So I decided to take two days off work last week, right before the start of the fall semester. It was so needed, and left me feeling so refreshed. This is something that I've struggled with for as long as I remember. In college, we'd have conversations where we bragged about who got less sleep, who was taking more classes, and who was involved in more activities. We live in a culture where we're always pushed to do more. Social media makes us want to go to every event, be involved in every activity, be on Instagram and Twitter and Facebook "liking" all the posts we come across. But when I took off last week, I took a day where I really stayed off social media a lot of the day. I still went on Instagram, but I did it when I wanted to, posting pictures that made me happy. I went to the zoo, which is one of my favorite places ever - I am such an animal person. I'll probably still write a blog post about it, but because I want to share my love of it, not because I feel obligated! 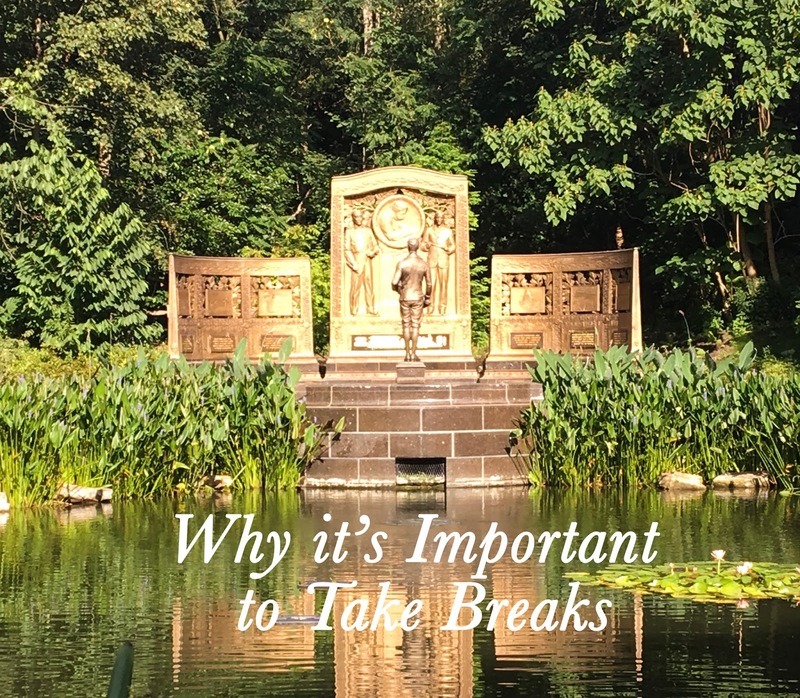 Taking time off when you need it actually helps - it makes you feel better physically, mentally, and emotionally. I'm feeling happier and more productive now that I took time off, not less.